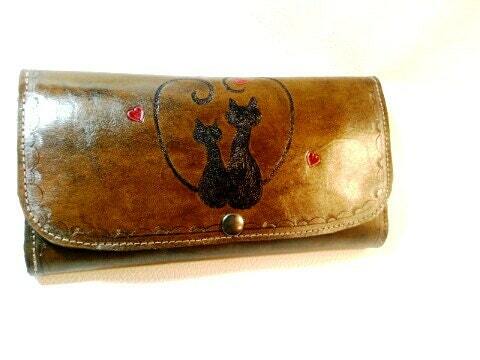 Women's wallet, leather, handmade, leather interior, multi pockets design customized on request. 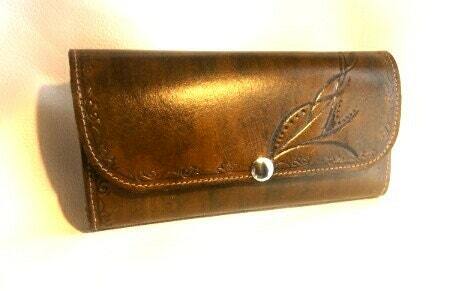 Wallet made of quality leather, inside and outside, made entirely by hand. 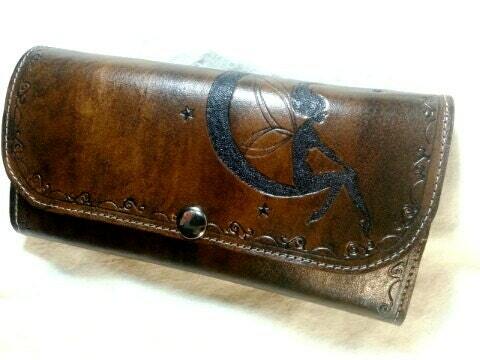 Drawing, image, logo, custom order, choice of size, color, design, for a wallet that you will definitely. High quality leather. 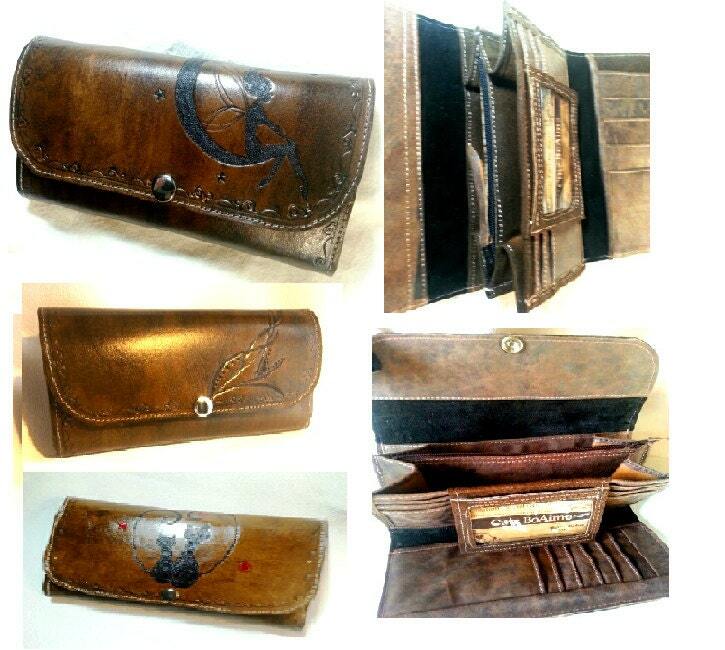 Inside with multi card pockets and a pocket for currency .clair. Prices vary depending on work asked me to make on top and inside. The shipping cost varies depending on weight and destination.